What's The Most Controversial Car Of All Time? I was astounded to learn the backstory behind the original Volkswagen Beetle GSR, that it was decried as a dangerous hoonmobile for its garish paint and performance enhancements. That certainly wasn't the first time a car caused a big stink. Every now and then, a car will come out that causes the government, safety watchdogs, the media, parents, scolds, and even rival automakers to shoot steam out of their ears. So that's our question of the day: What's the most controversial car of all time? 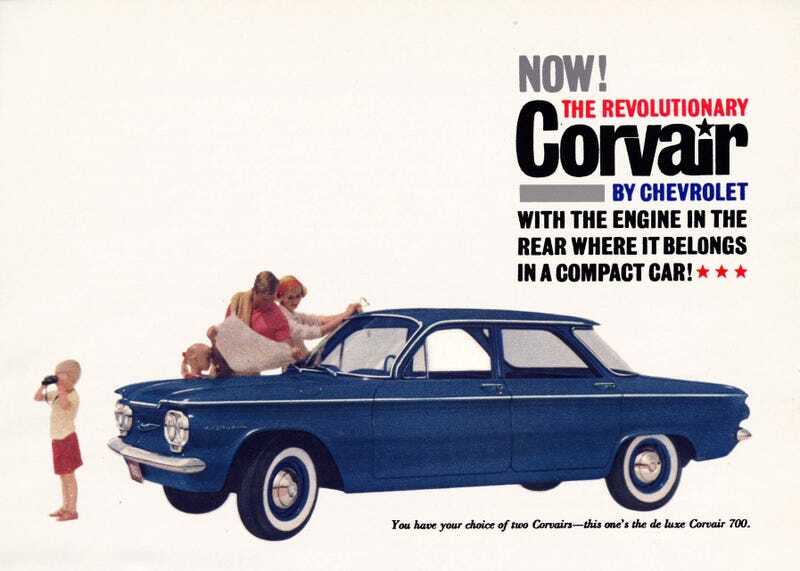 I'll have to take the most obvious contender out of the running and go with the Chevrolet Corvair, America's answer to Volkswagen and Porsche that was denounced as being unsafe at any speed. The Corvair changed the way we look at auto safety forever, even if those in the know realize it probably wasn't any worse than its contemporaries. Your turn. What's the most controversial car out there?